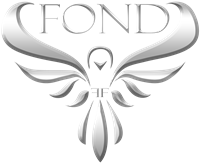 FOND LLC – The Fond Organization (dba) is a privately held company based in Florida. FOND focuses on commercial and residential construction, renovation and management. FOND is headquartered in central and south Florida, and was established in 2004. Our team is well versed in all phases of construction and management. Knowledge – Our firm is a team of skilled and successful professionals creating new and inventive methods of managing all types of construction projects. Our industry knowledge spans the nation in commercial and residential construction, management and operations. Experience – Our executive team includes a unique group of accomplished industry professionals with over 40 years of collective experience in construction, renovation and managing properties on behalf of investors nationwide. Past Performance – Our firm has goals for our clients that are based on sound fundamentals. This core philosophy has been instrumental to achieve high results while managing appropriate client risk. Through the years, FOND has worked hard to successfully produce asset value in every project we work on. Mission – To be the most successful and respected construction management firm in the markets we serve. Our success will not be a matter of chance, but of commitment to the core values that define us. We are dedicated to being the model of integrity and excellence in our industry. We build credibility through relationships and reputation that distinguish us from the competition. We continually strive to be valued by our clients, admired by our competitors, preferred by our customers, and respected by our communities.